The first stage of the original Madora Bay residential locality was subdivided in 1960 with Madora Beach Road being constructed during 1959. The first stage consisted of the land bounded by Sabina Drive, Challenger, Albion and Madora Beach Roads. Over the following years other stages were developed both north and south of Madora Beach Road. The name Madora was chosen for the estate by the late Harry Perry being a variation of Chadora, a timber siding east of Dwellingup and Mandora, a cattle station near Broome. He also named the street names after early sailing ships that conveyed settlers to Western Australia. The name of the estate was changed during the 1970s by the developers from Madora Beach to Madora Bay as it was considered more attractive from a marketing perspective. Madora Bay is now one of the most highly sought after suburbs in Mandurah, primarily because of its beachside location and ease of access to Perth. Located just 10 minutes north of Mandurah, the suburb is fringed by the pristine shoreline of Madora Bay Beach. Why presentation is so important. What is it that makes a buyer choose one property over another? This is a question that many sellers ask themselves, particularly when their property is the one that was passed over. The truth is that it could be any number of uncontrollable factors such as block size, location and house layout. However, when two similar properties are competing for one buyer, it often comes down to the simple case of presentation. Over summer, sales listings tend to increase. This is not unusual in Mandurah as it is a seasonal city that offers a fantastic summer lifestyle. This means that buyers have more choice, whilst sellers face increased competition. That’s why it is so important to present your home in it’s best possible light. Most sellers are very good at presenting their homes in a clean and tidy fashion, however sometimes it’s the little things that make the difference. Buyers are usually looking for a property that needs the least amount of work to do. Just by repairing any chipped walls and giving them a lick of paint, you could increase the appeal of your home and make it stand out above competitors. Buyers are often looking for any excuse to knock down the asking price, by eliminating these factors, you also give yourself the best chance of higher sales price. 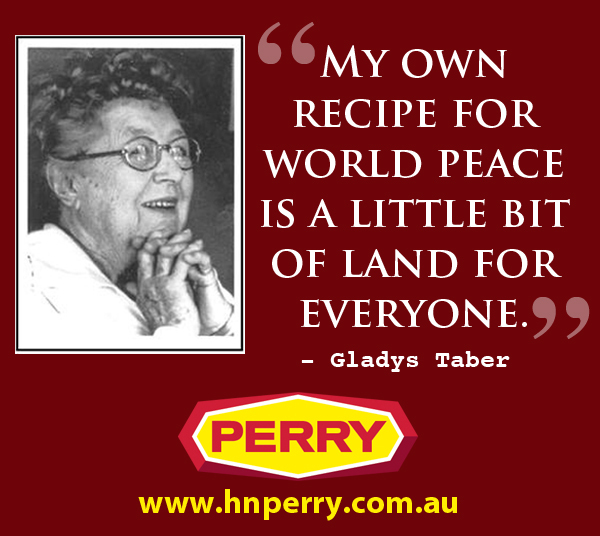 H&N Perry are Mandurah’s longest established real estate agency. We have been selling property in the Mandurah region for over 65 years. Our sales representatives are able to offer you the best advice on getting a SOLD sticker on your property. If you’d like a confidential appraisal on your house, unit, land or commercial property, call H&N Perry on 9535 1822. OCEAN FRONT AUCTION THIS WEEKEND! Come and get yourself a bargain – this property must be sold! Huge 4×3 ocean front home with unbelievable views from all rooms PLUS… a separate 2 storey, 2 bedroom home to the rear also boasting ocean views. This outstanding property has to be seen to be believed. The Auction will commence on site at 4 Donnybrook Turn, Dawesville, 11am on Saturday 23rd February 2019. Call Peter Craig on 0428 378 100 for the full details. A two minute stroll to one of the best beaches in Australia! Uninterrupted views forever. Fish for breakfast, swimming, surfing, and sailing at your door step. Dine in the many alfresco areas upstairs or downstairs. Have a spa while enjoying a glass or tow with views to Africa. Take a luxurious bath and take in the views of the beach. So many relaxing locations to choose from in this Beach-side mansion. Plus a two bedroom self contained granny flat with own garage, boat-port and entry. Must view to appreciate this double storey delight with so many features. Stunning entry hall, huge gourmet kitchen with Ilve stainless steel appliances, stone benches, lots of storage cupboards and spectacular views. Huge entertaining room with own bar, sink leading to spa and alfresco area. The downstairs office is spacious and offers the home business person stunning views to the beach and beyond. The large family room has access to the front verandah and all rooms have high ceilings. There is a downstairs bathroom with shower, toilet and a vanity. A music room, sheltered BBQ area and access to the double garage. Upstairs all bedrooms are large, have robes and beautiful ocean views. The master bedroom is very large with a glamour bathroom, sit in the bath and enjoy the views and a glass of bubbly. For you to enjoy a media room and a full length balcony. Situated on the beach front, with easy access to the highway. Close to shopping, schools and transport. This breathtaking property at the award winning Oceanique Apartments, is for those of us who enjoy the finer things in life! With incredible panoramic views overlooking The Cut Golf Course, Pyramids Beach and the Indian Ocean you will never get sick of waking up at this luxury address. Situated on the second floor, apartment 20 offers approximately 124m2 of internal living space with a wonderfully luxurious open plan design including a stunning gourmet kitchen, dining area and family room. The two balconies, totalling approximately 31m2 in size, offer incredible views overlooking the Indian Ocean and The Cut Golf Course and plenty of room to entertain. Both bedrooms are king sized with ample robe space, luxury bathrooms and many more five-star features. Enjoy private elevator access directly into the apartment, your own huge secure double garage and storage room plus resort style facilities which include the huge pool, spa, sauna, steam room, gym and multiple indoor and outdoor function centres. A stunning property, this apartment truly must be seen! Mandurah – A Regional Hotspot! The latest REIWA (Real Estate Institute of WA) statistics have been released it’s good news for property owners in Mandurah! Whilst most property prices in Perth have remained motionless over the last quarter, most Mandurah suburbs have continued to experience healthy growth. According to REIWA executive manager research, Steward Darby, “Peel and the South West have been a shining light in housing”. The Mandurah / Murray area was WA’s second highest performing regional area and Peel suburbs, South Yunderup, Wannanup and Dawesville even appeared in the Top 10 suburbs for regional growth! 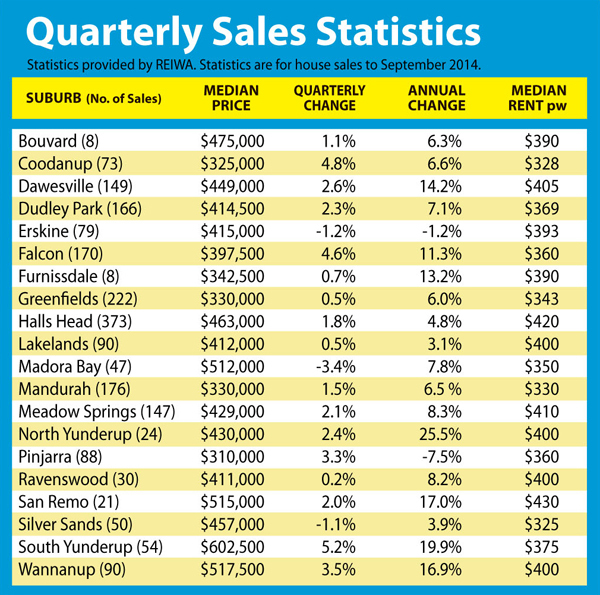 H&N Perry have been experiencing strong enquiry from buyers who now see the value on offer in the Mandurah region. With interest rates remaining steady once again, we are expectiving sales to continue to flourish throughout the summer season. If you’d like to know how much your property is worth, call one of our experienced sales representatives today on 9535 1822. We have buyers waiting for your property to hit the market! Big Blocks For Small Bucks At Florida Beach! If you’ve been looking for an affordable, decent sized block close to the beach – look no further! 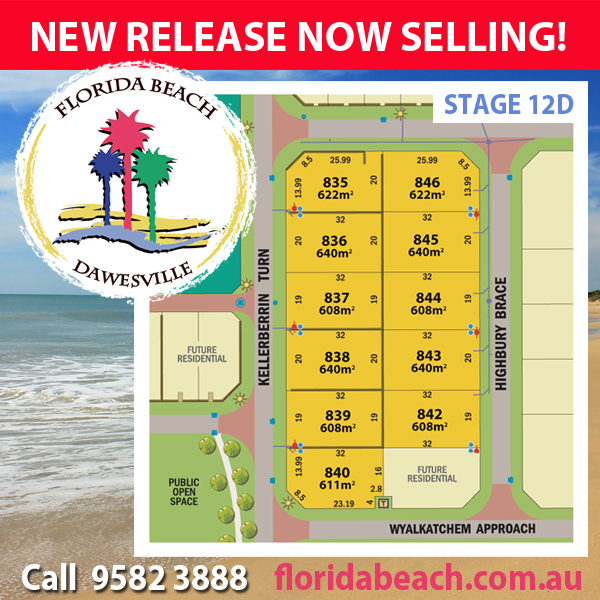 Due to public demand for bigger homesites, Florida Beach has just released Stage 12D. This stage consists of 9 level housing sites up to 640m2 – some with 20 metre frontages! Priced between $155,000 and $165,000, these blocks represent some of the best value for money beachside land on the market. When you take into account the generous $4,000 landscaping allowance plus free colorbond fencing offered to buyers who comply with the early building convenants – this adds up to an excellent deal indeed! Florida Beach has become an extremely popular suburb for families due to its quiet beachside atmosphere. The suburb also offers residents the choice of public and private primary schools which further adds to its appeal. Other nearby amenities include parks and public open space, an international quality golf course, Port Bouvard Lifesaving Club, child care facilities, boat ramp and BBQ facilities along the Dawesville Foreshore. Where else can you live this quality of lifestyle for such an affordable price? Florida Beach land sales have been very strong this summer and these lots aren’t expected to last. Take a look at the website floridabeach.com.auand then call Estate Manager Bryan Cusick on 9582 3888 to secure your homesite. As many of you will have noticed, lot sizes in Western Australia have been diminishing over the years. Twenty years ago the standard lot size was a quarter acre (1012m2). By 2000, this had shrunk to an average of 700m2. Latest statitistics reveal that the average lot size is now just 415m2. That’s a whopping 40% reduction in just 13 years! So, why are developers selling such ‘small’ parcels of land? Affordability is certainly an issue, however the main reason for shrinking homesites is planning and zoning laws laid out by the Western Australian Planning Commission. These laws limit the developers to the size of blocks that can be created. The laws are designed to increase the density of housing and reduce the ‘sprawl’ of suburbs. In recent years, builders have begun to adapt their house plans to fit on lots as small as 200m2 with 10m frontages. However, sales statistics suggest that buyers would still prefer to live on a larger sized block. Developers who still have homesites available above the average size of 415m2 are finding that these lots are selling much quicker. Families in particular are keen to invest in the lifestyle that a large backyard offers. Zoning regulations mean that smaller homesites are here to stay. If a large backyard is important to your lifestyle, it is strongly suggested that you invest in land sooner rather than later. H&N Perry are currently selling new homesties in Florida Beach Estate that are a generous 580m2. We also have a large range of private land stock available to suit all budgets and lifestyles. Call 9535 1822 today and secure your family’s future with land.